Hello everyone! 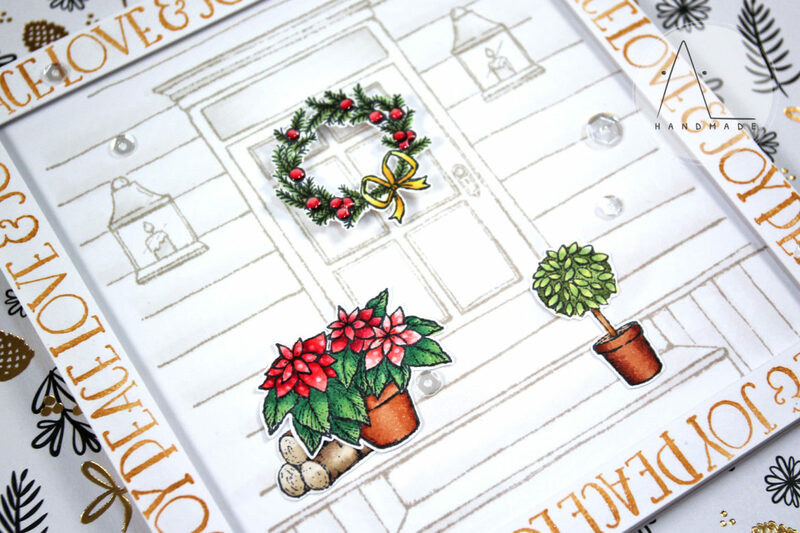 Today’s card features some amazing stamps from ‘Twas the Night Before Christmas – the new awesome winter / holiday collection from Purple Onion Designs. These stamps are fantastic! 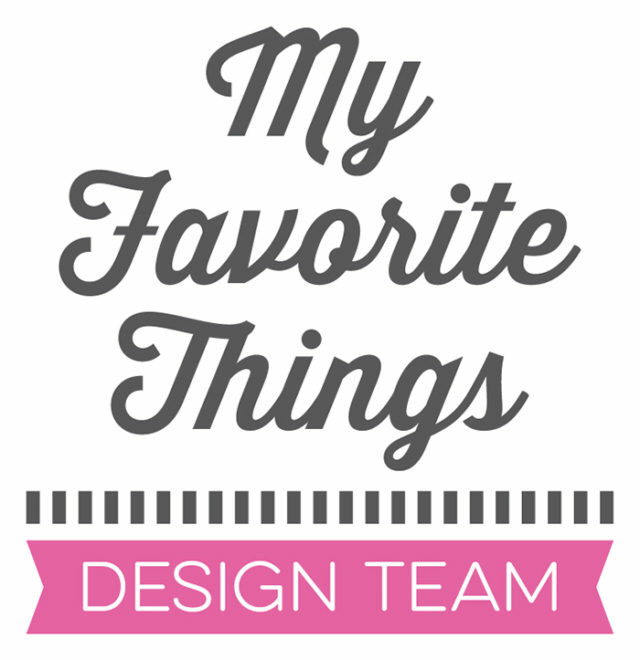 I’m sure you will love them as much as I do. For this project, I created a clean and simple design and focused on highlighting some details of my composition. 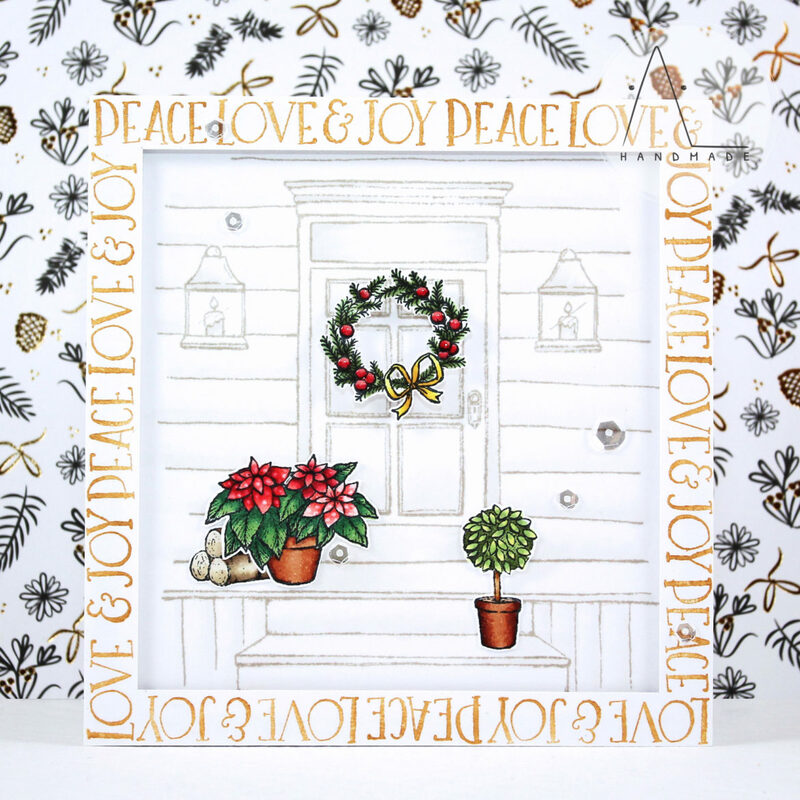 I stamped the Front Door with Evening Gray Dye Ink from Altenew as a background for my card. Then, I stamped some images from the Door Decor stamp set with Memento Tuxedo Black and colored them with Copic markers. I used my Colorless Blender to add some details on my poinsettias. Then, I added a bit of gloss and dimension to each wreath’s berry with Glossy Accents. On a white cardstock panel I repeatedly stamped the sentiment from Essential Holiday Greetings Sentiment Set to create a frame. Once finished, I cut the frame with my kraft knife and foam mounted it onto my card base. Finally, I added some sparkling clear sequins as embellishment.